You found your home! 4BR/2bath split plan with 2,280 sq. ft. of living in beautiful Derbyshire. Includes beautiful vaulted wood ceilings, fireplace, inside utility and sprinkler system. Plus, screen pool overlooking manicured lawn on 1/3 acres. 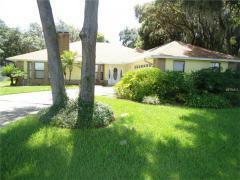 Excellent condition, 5 star school district near I-4 and Lakeland Square Mall. See today! Gone tomorrow! !